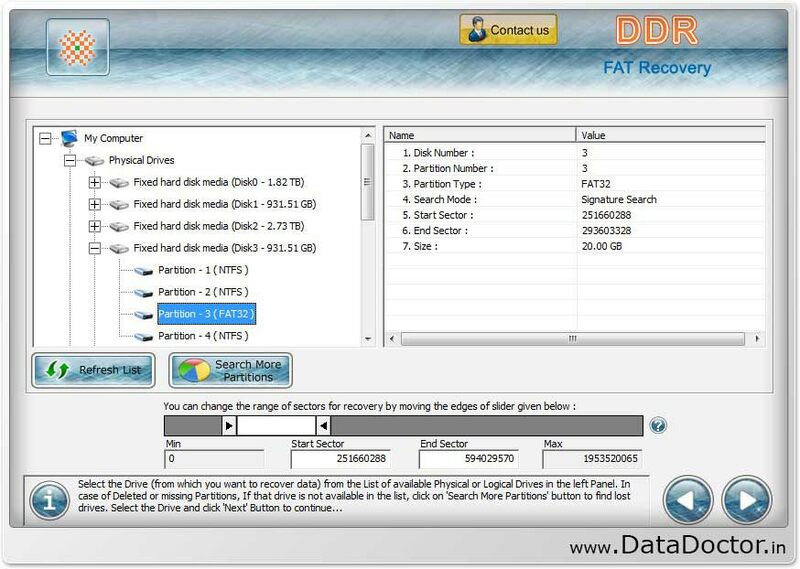 Windows FAT data recovery software restores all missing or lost files and folder from hard disk drive partitioned on FAT16, FAT32 file system. Data retrieval program for ‘Windows FAT partition recovery’ helps you to rescue all missing and inaccessible data, files from any kind of data disaster. 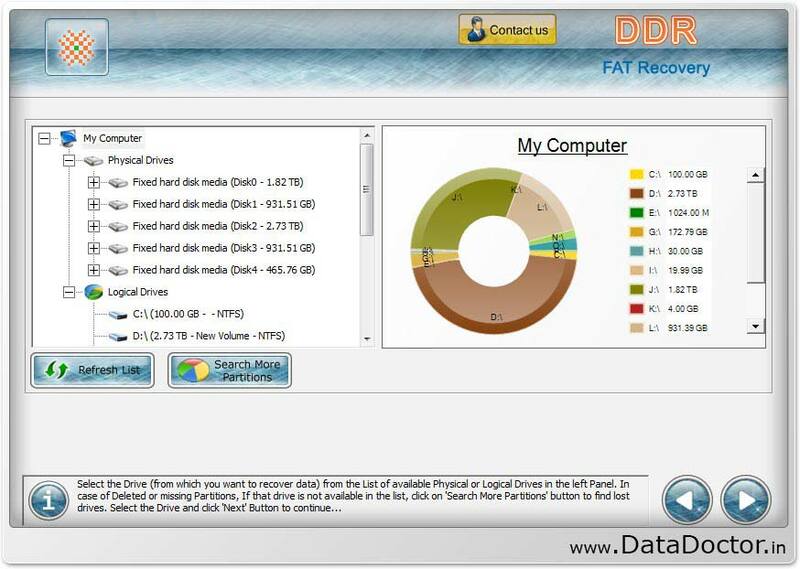 FAT file salvage tool examine hard disk drive using disk scanning techniques named Standard Search, Advance Search to find repair and relocate lost or inaccessible data even after deleted or erased using Shift+Del keys. ✔ Human error and similar data loss reasons. ◉ Recovers data lost due to accidental deletion, formatted or partitioned hard disk media. ◉ Supports safe data recovery even from previously Existing, corrupted or logically crashed hard disk partitions. ◉ Restores data from bad sector infected disk drive partitions. ◉ Recovers data from lost or deleted partitions, files and folders by performing useful disk scanning methods. ◉ Support recovery from FAT16, FAT32 file system.